Bologna will be looking to build on a 3-0 win over Sampdoria when they welcome Empoli at their Stadio Renato Dall’Ara on Saturday afternoon. Bologna have been in a fine form of late, but their Serie A status is still in danger. The Rossoblu are only five points clear of the relegation zone, meaning that Saturday’s football match is of big importance for them. 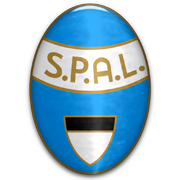 SPAL will be aiming to extend their winning run in the Serie A to three games when they host Genoa at their Stadio Paolo Mazza on Sunday afternoon. The Biancazzurri proved their worth in the relegation six-pointer against Empoli and the fact that they defeated star-studded Juve in their last home fixture is giving fans a reason for optimism ahead of the visit of Genoa.